Food&HotelAsia (FHA) is known as the most comprehensive premier international Food and Hospitality trade show in the region. 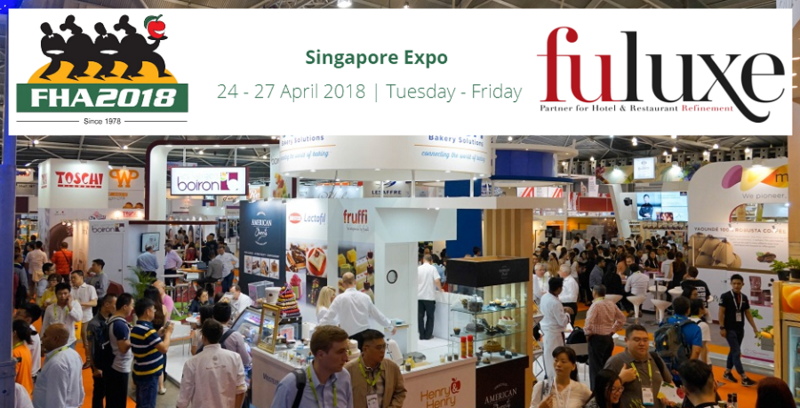 As it was the case for the previous editions, we are thrilled to announce that Fuluxe will participate to this new edition from 24 – 27 April 2018 at Singapore Expo. Stay connected by subscribing to our newsletter and discover soon the exiting new brands selected by Fuluxe for its customers.